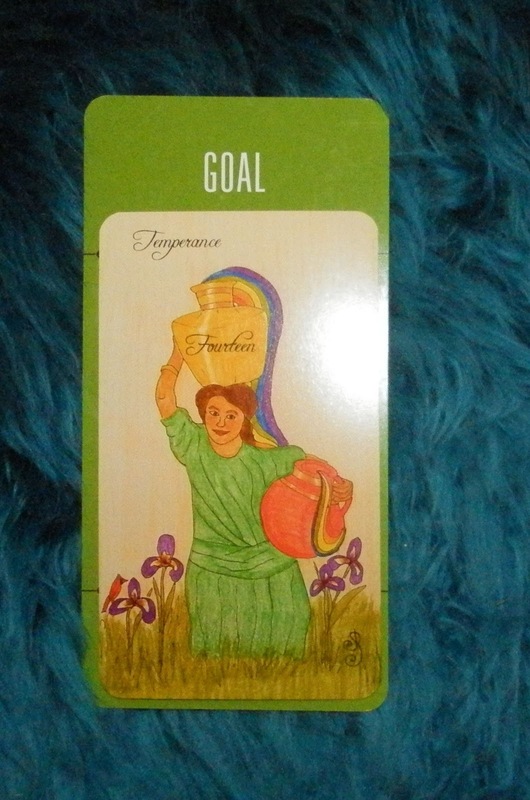 Weekend Reading: Temperance from the Peaceful Path Tarot in the Goal position from the Deck of 1000 Spreads. This weekend those of us in the Northern hemisphere will be likely doing yard work or spring cleaning. In the US, many will be finishing up their taxes. And I'm sure all my readers from Down Under have plenty on their plate as they head toward winter. Regardless of where we live, weekends are usually the time we get our home lives in order so we're ready to face the week. I know that often my weekends can be as exhausting—if not more so—than my weekdays. So Temperance comes to tell us that of all the goals we have set for the 60 hours or so before we begin another work week, our #1 goal should be balance. After all, when else will you get around to THAT? It's crucial to our health and emotional wellbeing to reset on a regular basis and come back to neutral. So if you have to put sweeping the patio off for another week in order to make balance happen, do it. The hamster wheel has to stop sometime.